If you are looking for airbag repair information then you have found your source. This safety equipment can be very expensive to fix so it is important that you do it right. If you don't have the right info you can literally end up with broken bones. 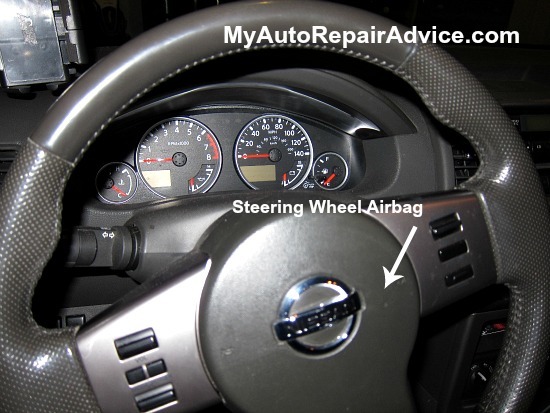 Below you will find a great article that will tell you how to safely get your airbags working again. I can remember very clearly the first time I had to deal with fixing an airbag. I was removing the steering wheel from a vehicle and I had followed the procedure to the letter, but there was still this lingering fear. I kept thinking "what if it explodes? ", "Did I wait long enough? ", "What if I touch the wrong wires together?". Needless to say, I was a little nervous because of everything I had heard about airbags. While many of the things I had heard were true, I learned that day that if you have the right knowledge and use the right procedures everything will turn out just fine. In the years since, I have found that there are some things that you absolutely must have if you want to work on or around airbags. This is the most important thing that any technician needs to safely repair airbag systems. It seems like every manufacturer has a different way of disabling the system and many times it is different for different vehicles even under the same manufacturer. It is critical that you know how to disable the airbags as well as re-arm them when you are finished with airbag repairs. To troubleshoot, repair and maintain your vehicle, you'll need diagnostic and repair information that is specific to your car or truck. For this I personally use and recommend ALLDATAdiy. With full manuals for over 30,000 vehicles online, you will find an exact match for your vehicle's year, make and model. Besides being cheaper than a factory manual, they also offer step by step repair instructions and detailed diagrams beyond what is found in most printed manuals. Click here for a sample of their diagnostic and repair information. While many people learn by doing, there are some types of repairs for which you should really have some type of training in order to perform them safely and effectively. Replacing airbags is one such example. The first is to attend training held by your local parts stores. While sometimes these training sessions are more of a sales pitch, most of the time they are very good and can really help you understand how airbag systems work. If you live near a college that has an automotive technology program they will most likely offer a class on airbags and airbag safety. Most colleges will let anyone "audit" classes, so even if you don't have the time to do all the homework you could still learn the material. Another option is to find a shop and/or a technician near where you live and ask if you could watch or help them with some airbag jobs. The internet is also a great resource for this type of information. Some companies are starting to provide e-courses that work great for people who work full time or don't have the time to take a college class or put in volunteer time to learn the information. One other great way to get training is simply reading articles (like this one!) in trade journals. Many times these types of training articles give you the information you need to know without overloading you. No matter how you get your training be sure to have an idea of what to expect before you start tearing into an airbag system. You will be glad you did. This may be obvious to some, but you would be surprised how many times I have gotten into jobs that have screws with stripped heads, the wrong bolts, broken interior trim etc. It is essential that no matter what you are trying to do on your own vehicle or a customer's vehicle you have the correct tool for the job. I have been in the situation more than once where I needed a tool that I didn't have so I "improvised" and either made my own or tried to use a tool that was not made for the job. While sometimes it has worked just fine, the majority of the time I waste a lot of time and sometimes a lot of money replacing broken parts. Before you start an airbag repair job take some time to read through the procedure that you will need to follow and look over training notes if needed, then be sure to have the needed tools on hand before you start the job. The last thing you want is to get in the middle of the job and not have the tool you need to finish. Some of the tools you will need to work on most airbag systems are a basic set of hand tools, a set of interior trim removal tools (these help to keep the plastic trim pieces from getting scratched) and many times you will need a scan tool to erase the trouble codes that will be set after the airbag repair has been finished. Many vehicles have occupant classification systems that may need to be re-calibrated as well. If you cannot afford your own scan tool you may want to find a repair shop that is willing to erase the codes for you and/or recalibrate the system after you have done the work. Every good technician or do-it-yourselfer needs to have a place to go when they can't figure things out themselves. This might be another shop in town, or another technician that has good knowledge of airbag repair or it might be the Internet. I use the Internet almost everyday when working on tough problems and have found it to be indispensable. There is so much information on technicians' networks and forums that is useful. The amount of diagnostic information that can be generated from the thousands of automotive technicians who are a part of these forums and technicians' associations is huge, and it can be a big time saver. It is always good to have someone to whom you can go when you have a problem that you can't fix or worse yet, a problem that you have caused by not having everything you need to work with airbag systems and airbag repair. If you still have any unresolved vehicle problems or questions, you can ask an auto mechanic online. For expert answers specific to your vehicle's make and model, I recommend JustAnswer Car. They have a large pool of certified mechanics to answer your questions for a small fee and you can also browse their answers to other users for free. There are so many different types of airbags and systems in the market and chances are that they will only become more and more complicated with time. I can't stress enough the fact that anyone attempting to work on or around airbags needs to have the four things I've mentioned above. Without them you might find yourself or someone else working with or near you in serious trouble. Coupled with common sense and experience, you will be well on your way to performing professional airbag repair.